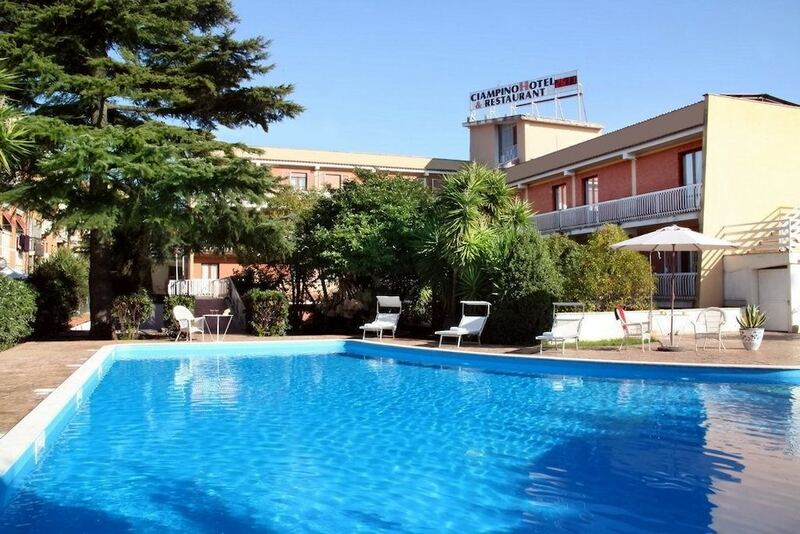 With a stay at CiampinoHotel in Ciampino, you'll be within a 15-minute drive of University of Rome Tor Vergata and Anagnina Mall. This hotel is 9.4 mi (15.2 km) from Roman Forum and 11.3 mi (18.1 km) from Trevi Fountain. Make yourself at home in one of the 64 air-conditioned rooms featuring LCD televisions. Complimentary wireless Internet access keeps you connected, and digital programming is available for your entertainment. Private bathrooms with showers feature rainfall showerheads and hair dryers. Conveniences include desks and blackout drapes/curtains. Featured amenities include a 24-hour front desk and laundry facilities. A shuttle from the hotel to the airport is provided for a surcharge (available on request), and free self parking is available onsite.